Product information "Localino v3.0 Kit 2D"
Localino 3.0 Minimal Kit (3 Anchor + 1 Personal Tag) - Unpack. Configure. Localize in 2D. Includes Hardware and Software license. No additional fees. 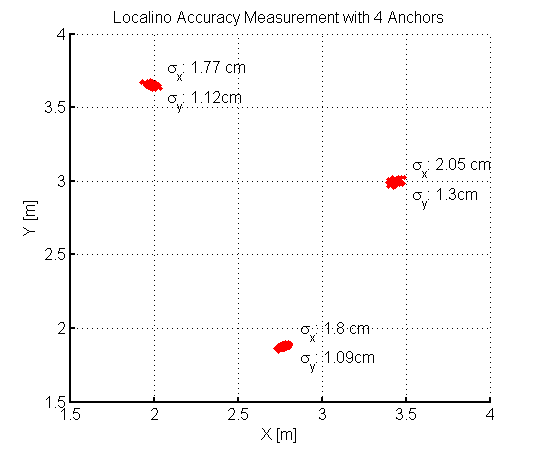 Localino measures ranges precisely and estimates 2D/3D positions with an accuracy of <30cm. It is suitable for indoor or outdoor applications. Localino offers centimeter accuracy and long range. The system is highly scalable without the need of master nodes or a synchronization network. Each node can be configured separately. Localino integrates into your WiFi network. It measures the ranges to a mobile tag and broadcasts the measured data into the Wifi network. The Localino application captures the data, processes, displays and saves the estimated positions. It is also possible to broadcast a location datastream into the network, for example to display locations at remote devices or to integrate the locations into higher level applications. Localino operates completely offline. All processing is done in a single application. Your data is never transmitted to any cloud or internet service. All processing and data are kept offline. Localino Tags are designed for long life. The internal rechargeable battery lasts up to 100 days when using a location update rate of 0.1 Hz. Even increasing the location update rate to 1 Hz the battery lasts several days (depending on selected channel). 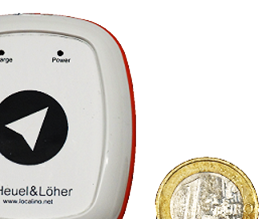 Localino tags use standard rechargeable batteries that can be replaced. The kit must be setup according to the supplied description. 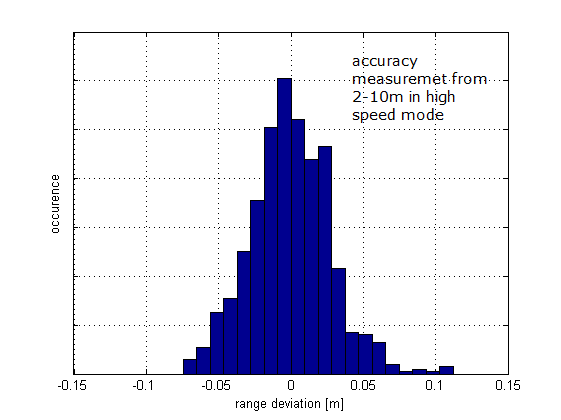 The figure below shows the histogram of the ranging accuracy in high speed mode for ranges from 2m to 10m in 50cm steps. At each step 255 samples have been recorded. It can be seen that the ranging accuracy the system is <10cm. 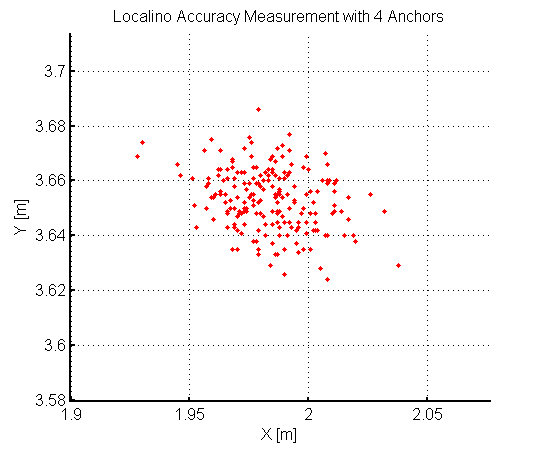 The plots below show accuracy measurements that were recorded with 4 Anchors localizing multiple Tags. 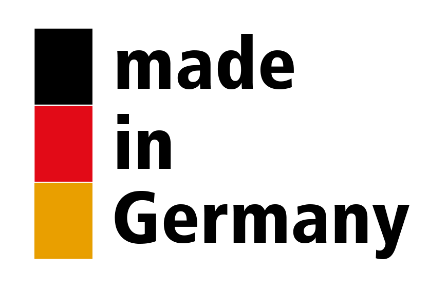 Each red dot in the plots below represents a single localization. When using 3 Anchors the accuracy will be a bit less. Using more than 4 Anchors the accuracy will improve even further. please note: The mounting fixture on the pictures is not part of this product. The mounting fixture can be ordered seperately. Related links to "Localino v3.0 Kit 2D"